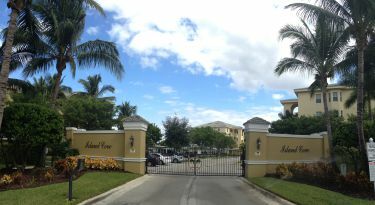 Built in 2004, this gated and tropical condo community is perfect for nature lovers as well as boat enthusiasts. Located on a canal with gulf access and adjacent to a natural preserve, you'll find all manner of wildlife to enjoy, from eagles to manatees to tropical water fowl. 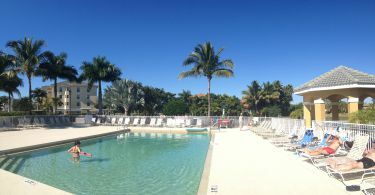 The community offers excellent amenities. Fully gated and secure, you'll enjoy a country club type clubhouse, resort style pool and spa, tennis courts, walking trails, and pristine landscaping to add that secluded feel of nature at your doorstep. There are 144 private boatslips available for purchase on a canal that offers sailboat access to the Gulf, and it's a ten minute boat ride to the Caloosahatchee River. Boat slips run just about $20,000 when available. Condos offer all the luxury features you expect, such as trey ceilings, stone counter tops, glass shower stalls and tile flooring. Another big extra is that all the windows and sliding door panels have hurricane resistant impact glass, a feature normally found on high end construction. All the units have screened porches that overlook the horseshoe shaped canal, as the complex is actually a large peninsula. There are two and three bedroom condos available and prices range from about $165,000 to almost $250,000 as of March 2019, mostly dependent on the location to the canal more than the size of the unit. Some of the units will have deeded covered parking spaces. 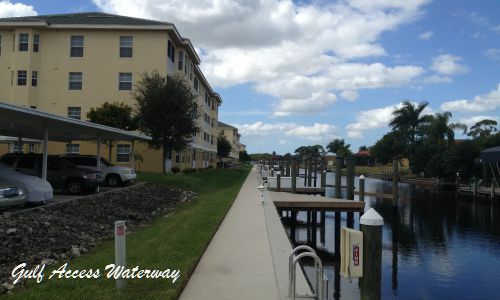 If you're wanting a gated canal front condominium with a boat slip, or just to be in the vicinity of the canal and nature's peace, please let me show you these wonderful homes. Once you see them, you won't be able to resist! Call me today. 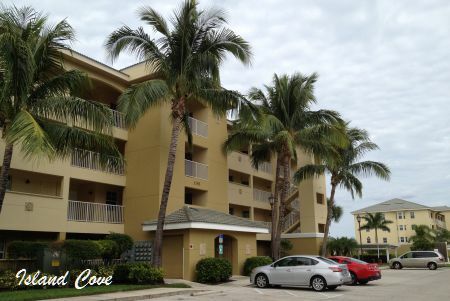 Island Cove Of Cape Coral Bldg.